There are countless options to choose from when it comes to smart thermostats, with Hive, Honeywell, Nest, Netatmo and Tado all offering popular models. Those thermostats are all quite expensive, however, and those who want simple heating control without breaking the bank will find Salus Controls’ latest offering to be more than capable. At an exclusive launch event in London on October 16, Salus Controls announced its latest smart thermostat offering, dubbed the RT520. This smart thermostat is fully compatible with Boiler Plus, new legislation that is aimed at improving the way homes in the UK use energy by the increasing the efficiency of their heating system. Dean Jepson, Salus’ European managing director, explains the rationale behind this latest development, “When installing a combi boiler, Boiler Plus dictates that one of four energy efficiency measures must be added; one of which is heating controls. 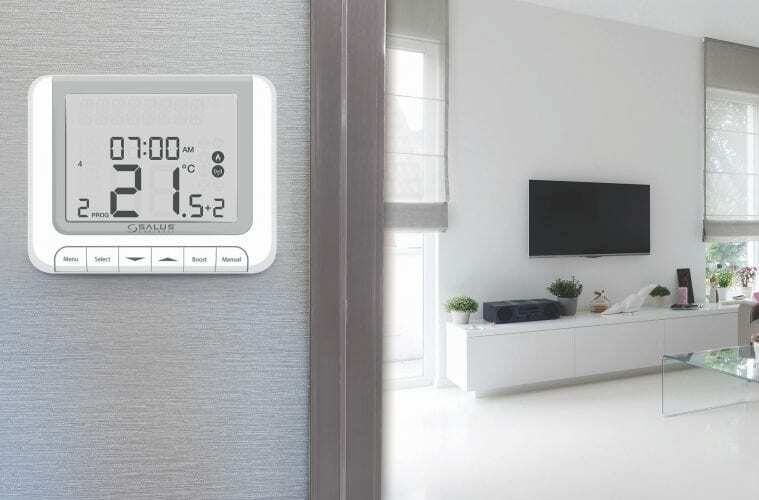 Since simple programmable thermostats are no longer compliant in this instance, homeowners are limited to connected smart controls with automation and optimisation functions. Available as wired and wireless RF versions, the RT520 is a battery-operated digital display room thermostat with a large LCD. Its user interface has also been designed to be simple, with the company claiming that changing the temperature will be easy to pick up – meaning users won’t need to consult the manual. Making use of the OpenTherm protocol, the thermostat enables the boiler to be modulated; offering improved control and efficiency by only using the necessary amount of gas to heat the water to the required temperature. Both models also feature a new suite of additional operational and efficiency functions. These include a notification that the boiler requires servicing and a PIN option that enables landlords and building owners to only access certain settings and menus on the boiler. The RT520 also boasts an improved ErP rating that verifies the overall efficiency of system.